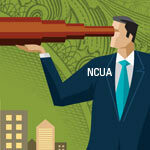 By Cynthia Walker, CEO, Mark H. Smith, Inc.
NCUA has announced their regulatory focus for 2015. Several of the regulatory topics are of particular interest to our readers. NCUA’s January 2015 Letter to Credit Unions (Letter No. 15-CU-01)i outlines the supervisory priorities for 2015: Interest Rate Risk, Liquidity, and Contingency Funding continue to remain a primary concern for the industry. NCUA’s liquidity rule (741.12) became effective last year, and compliance with the new rule will be assessed. Regulatory scrutiny aside, it is very good business practice to have strong policies and procedures in place to guide the decisions of management and help to achieve desired outcomes. This article will focus on regulatory compliance to help address some of the frustrations and problems I have seen in the last year due to regulatory scrutiny: but please note, I do not think this should be the motivating reason for IRR and liquidity analysis. The underlying motivation should be to operate and manage a safe and sound credit union for the benefit of your members. The letter to credit unions indicated field staff will continue to use existing guidance throughout 2015 but also noted the agency is in the process of updating their guidance to ensure IRR is assessed accurately and appropriate steps are taken in response to excessive IRR exposure. The letter did acknowledged most credit unions managed through interest rate hikes in the past, but there is concern that some credit unions may currently not be as well positioned due to higher concentrations of net long-term assets. We at Mark H. Smith, Inc. have witnessed increased regulatory focus on interest rate risk over the last few years, and the letter confirms continued scrutiny. We have also seen many examiners who do not completely understand the intricacies of measuring interest rate risk, may not ask enough questions to comprehend the credit union’s methods and measurement of interest rate risk, and write reports that are contradictory and confusing. Many of the comments we see relate to the assumptions used for non-maturity shares. Credit unions and industry best practices are becoming more sophisticated as to how to treat and model non-maturity shares. During past rate up cycles it is documented that credit unions were able to control cost of funds and maintain net interest margins. Past rate behavior does provide some support for the assumption that not all shares are highly rate sensitive. Identifying and modeling those shares with lower betas or rate sensitivities and longer lives can potentially offset or mitigate the interest rate risk of the longer term assets. When using what I think are more realistic assumptions for the identified core shares, the regulatory agencies have been questioning the assumptions and requiring management to have documentation and support for the assumptions. “Credit unions may use a variety of tools and methodologies to assess the risk mitigation of non-maturity shares. This guidance does not advocate any particular approach and recognizes some credit unions may explore multiple methodologies, including those that are offered by third party vendors. However, the guidance does require that the models and methods used should reflect the size and complexity of the credit union as well as significant balance sheet risks. Some credit unions may choose a simple approach when measuring risk. When measuring liquidity risk, they may assume non-maturity shares will be withdrawn immediately. For purposes of projecting net interest income, they may assume that all non-maturity shares are highly rate sensitive and that dividend rates are changed coincident with changes in interest rates. For net economic value purposes, they may assume that non-maturity shares are always priced/valued at par, or book value. It is recognized these approaches will typically provide conservative risk measurement results, especially in times of rising rates. Have an adequate IRR measurement system in place. Discuss and document the appropriateness of your system and that the staff or vendor have adequate technical knowledge of IRR systems and processes. Evaluate and understand IRR exposure. The ALCO should have an established process in place to review the results of the IRR and liquidity analysis. The results and trends should be documented in their minutes. Develop and document a response to risk levels that exceed policy or become excessive. Establish an appropriate system of internal controls (risk taker should be separate from those measuring, i.e. does the modeler also pick the investments?). Allocate sufficient resources for an effective IRR program. Understand your complexity and size and what should be appropriate for your credit union. We have seen some regulators impose unwarranted and excessive requirements on credit unions that are relatively small and not extremely complex. Discuss and document the adequacy of the current system and make corrections if necessary. Identify model inputs and discuss their development and application. Maintain documentation to support the assumptions. This will include terms, current yields, new money yields, market rates, prepayment assumptions, and other re-pricing options for assets. On the liability side, it will include the current rate, beta or rate sensitivities, lags, average lives, decay, and appropriate market rates. The market rate used for non-maturity shares is an important assumption that we have seen come into question quite a bit. It appears some regulators do not understand the logic for the market rates used so we recommend being prepared to discuss this topic. Review the resources you can afford to allocate to this program and the reasonableness of using industry indexes. NCUA has indicated industry dataiv is acceptable when modeling IRR and acknowledges in the IRR regulation that “a credit union may attribute value to shares (i.e. premium) on the basis that these shares tend to be lower cost funds that are core balances by virtue of being relatively insensitive to interest rates. This method generally results in non-maturity shares priced/valued in a way that will produce an increased net economic value.” Evaluate size and complexity of the credit union, look at the results of the NEV analysis with NMS at par, and then decide if additional expense for a credit union specific share study is warranted or reliance on industry data should be acceptable. Again, document the discussion and be prepared for regulatory review. Provide reports that measure compliance to board approved policies. In addition, have periodic training to help management and the board understand the reports and the results. Document when the training occurs. Make sure policy limits are up to date and incorporated into the reports correctly. Understand the impact of key assumptions on the results and run alternative scenarios with variation of the key assumptions. The alternative scenarios should provide a reasonable evaluation if behavior differs from assumptions and allow management to develop strategies if the results indicate undue risk to the credit union. The extreme scenario would be non-maturity shares at par for the NEV analysis and all shares assumed to have a high rate sensitivity, up to 1% beta, for the income simulation. Knowing the results of non-maturity shares at par can be a starting point for adding value of non-maturity shares back into the analysis. Monitor the assumptions, update when needed, and promote further discussion of the appropriateness of the key assumptions. I would like to reiterate the importance of performing IRR and liquidity analysis solely on the merits of good business practice. That being said, we do spend quite a bit of time helping our clients respond to regulatory questions and criticisms. The purpose of this article is to help you strengthen your IRR process, ultimately for the benefit of the credit union and its members. If we can be of further assistance in the area of interest rate risk and liquidity, please do not hesitate to contact us.